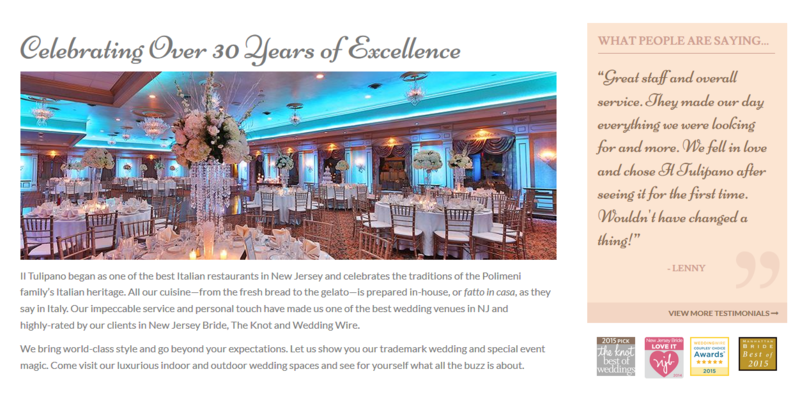 Operating for over 30 years, il Tulipano is a premier wedding and event venue located in Cedar Grove, New Jersey. 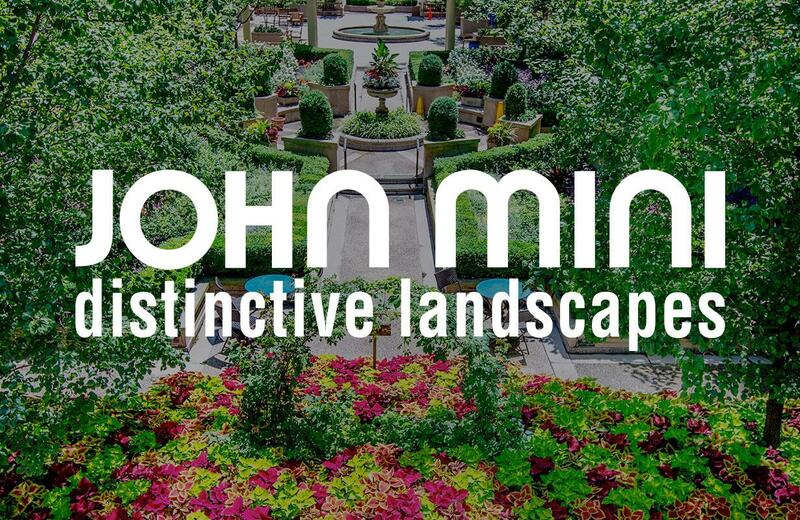 The venue has gained recognition as one of the best in New Jersey – known for its beauty, cuisine, and outstanding customer service. 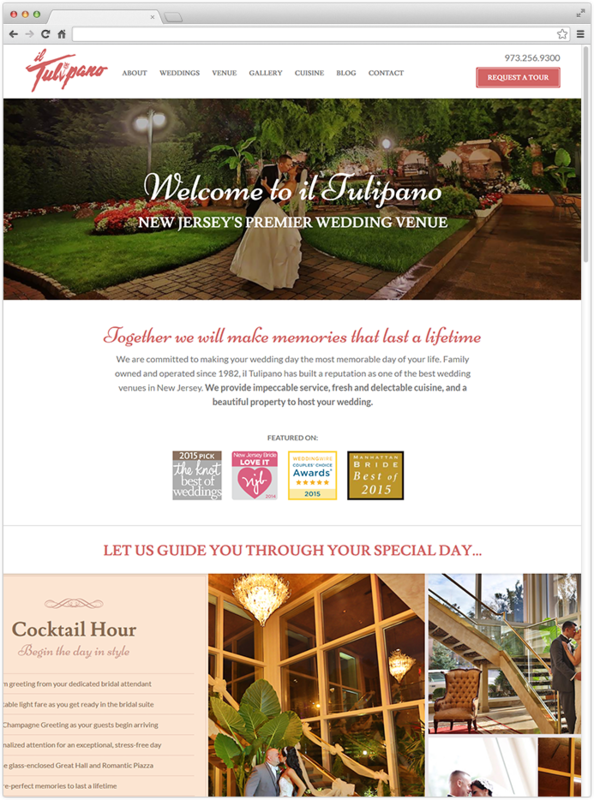 Simply, il Tulipano needed an updated website to showcase the gorgeousness of its venue and overall high-quality service. 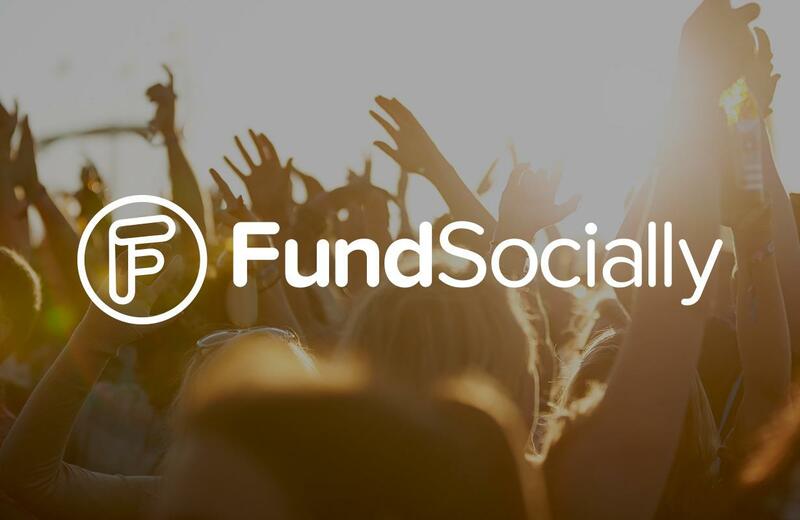 Its target audience is couples-to-be, and with so many wedding venue photos available online, management knew the site needed a strong online presence to entice customers who have not yet visited the venue in person. 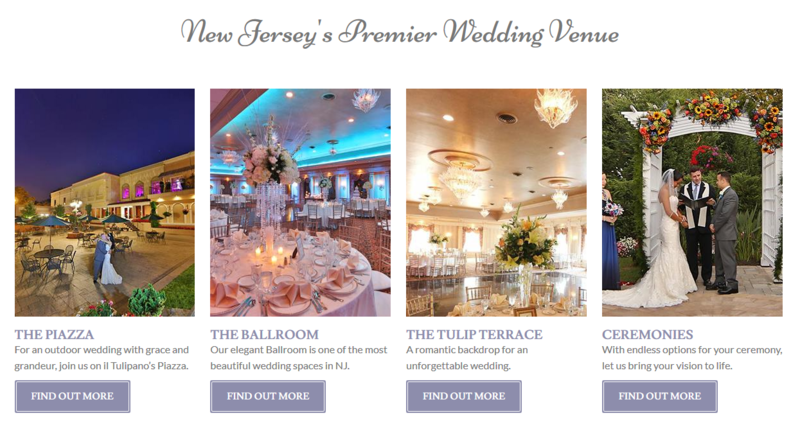 Our web design, development, and digital marketing teams worked together to implement a truly integrated web presence for the New Jersey wedding venue. Putting equal emphasis on business goals, site aesthetics, and market research, we created a website that not only showcases il Tulipano’s beauty, but also speaks directly to its target audience: couples-to-be. 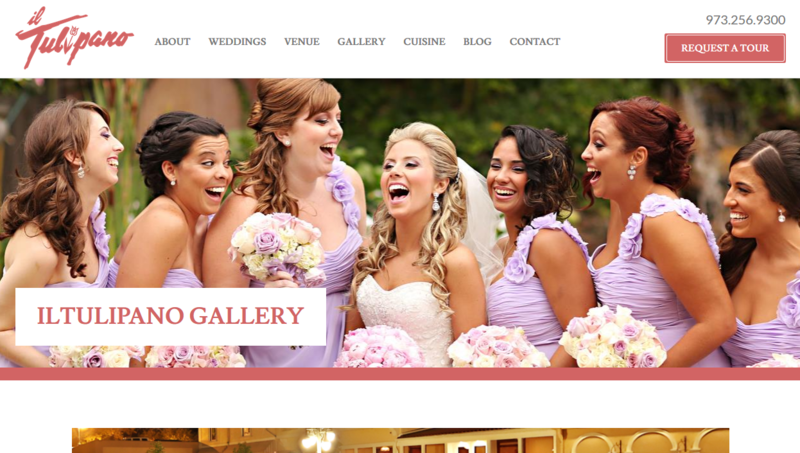 High definition images and glowing reviews from local brides line the site to excite couples with the details of their big day at the venue, while guiding them to fill out the site‘s ‘request a tour’ form. 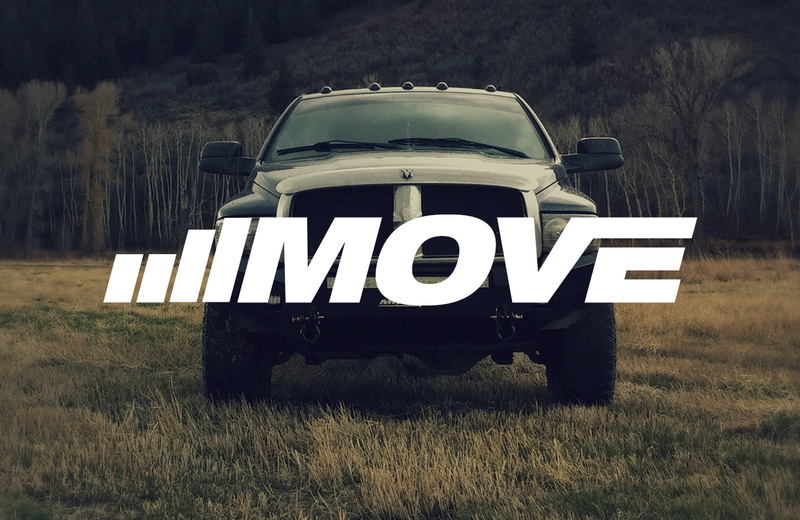 Additionally, the website’s content combines content marketing tactics with local SEO efforts, incorporating a wedding inspiration blog and relevant keywords, respectively. 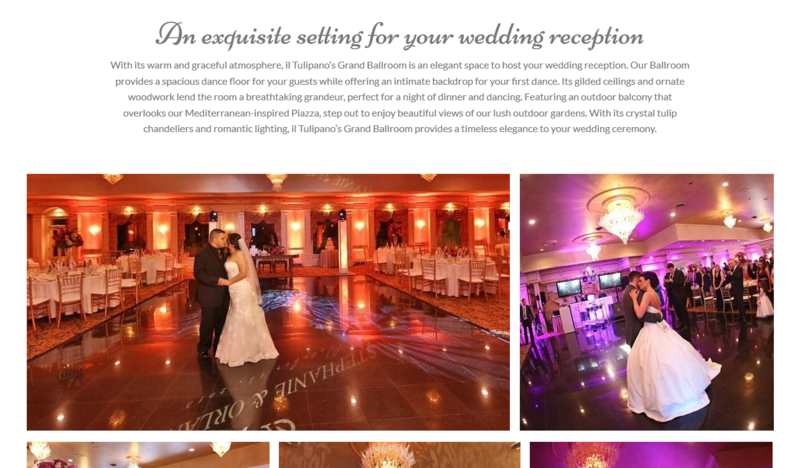 Overall, il Tulipano’s new website highlights all the venue has to offer while situating it alongside the best wedding websites on the web.